IMAX and DTS have announced a new partnership to launch the IMAX Enhanced program. The new certification and licensing program covers consumer electronics and content creation, ensuring support for optimal 4K HDR and immersive sound performance in the home. "While the IMAX theatrical experience continues to be the gold standard in blockbuster movie-going, today we are launching an exciting new program that applies components of IMAX's and DTS' technology and expertise to deliver consumers a level of quality never before experienced at home," said IMAX CEO Richard L. Gelfond. "This is a natural extension of our core business in experiential entertainment. By partnering with a well-established consumer electronics licensing leader, we can leverage both our brand and key technology innovations through DTS’ global licensing platform, without having to make the direct investments often necessary to build a new revenue stream. DTS will build that new business and we will share in the benefits from the program. We’re encouraged by the strong interest from our launch partner companies and look forward to working with DTS to grow the program further over time." To receive IMAX Enhanced certification, 4K HDR TVs, AV receivers, sound systems, and other home theater gear need to meet a specific set of audio and video performance standards determined by IMAX and DTS engineers and leading Hollywood technical specialists. In addition, the companies are designing a special IMAX Mode for enhanced devices to optimize playback of digitally re-mastered titles, offering a home experience closer to what the director intended. Meanwhile, on the content side, IMAX Enhanced movies will use a proprietary post-production process and an advanced algorithm to provide high-quality 4K HDR images through the accurate reduction of noise and grain under the filmmaker's supervision. Likewise, select IMAX Enhanced titles shot with IMAX cameras or specially formatted for IMAX theatres will feature an expanded aspect ratio as well. Finally, IMAX Enhanced content will also use a special variant of the DTS:X codec for immersive audio. "DTS has a rich history in delivering premium entertainment experiences to the theater and at home, and the IMAX Enhanced program is an exciting opportunity to stay at the forefront of home entertainment," said Xperi CEO Jon Kirchner. "Through the combined engineering and licensing efforts of the DTS and IMAX teams, as well as support from a number of the world's leading device and content partners, the IMAX Enhanced program will bring a completely new, enhanced experience to the home while also supporting the continued penetration of DTS decoders, bringing premium sound to consumers’ devices." 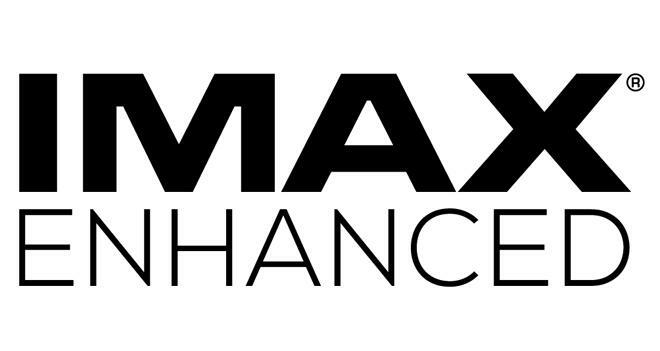 Initial partners for the IMAX Enhanced program include Sony Electronics, Sony Pictures, Paramount Pictures, and Sound United (parent company to Denon and Marantz). On that note, Denon and Marantz are the first manufacturers to announce IMAX Enhanced-ready products. Beyond those audio components, no other IMAX Enhanced products, titles, or platforms have been revealed yet.